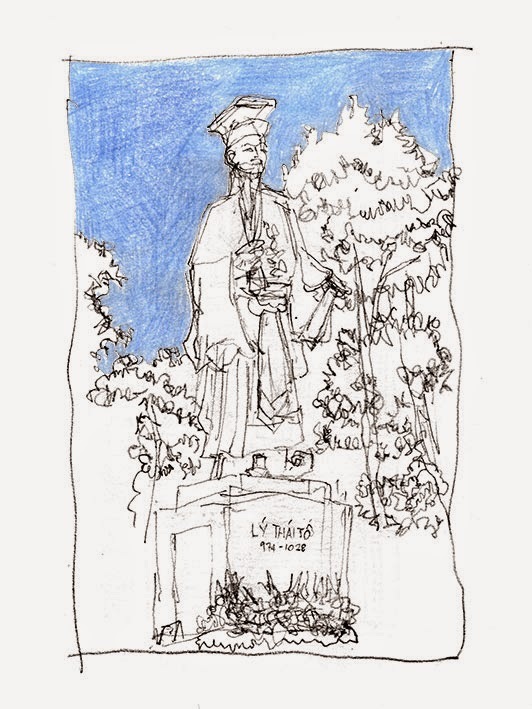 In the early evening, I stopped for a quick sketch of the statue of Lý Thái Tổ, the Emperor who was responsible for moving the capital from the south to Hanoi in the year 1010. In only 20 minutes, I was attracting quite a crowd, although this included a community of ants the size of kittens. On the way back to the hotel, there was much street activity dedicated to sport. The older generations were grunting on impromptu badminton courts, schoolboys squealed with delight kicking footballs on invisible pitches while groups of young girls whizzed silently on roller skates in small gangs. 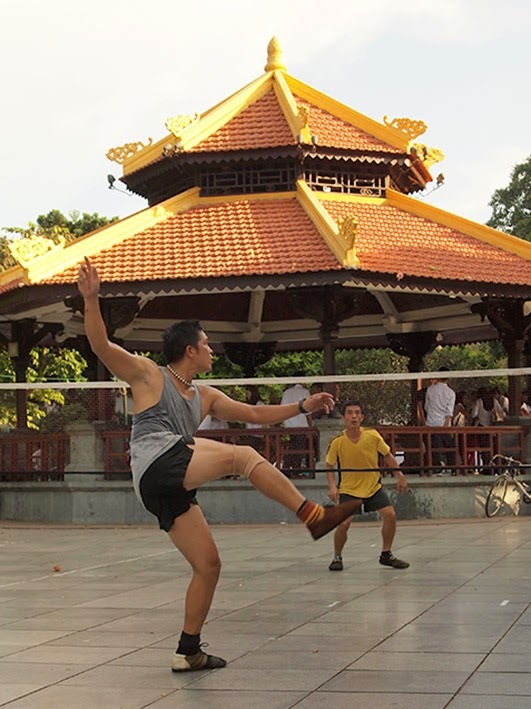 The predominant male sport was đá cầu - in English ‘shuttlecock’ or ‘featherball’. The players use their feet or bodies to return a shuttlecock across a net similar to badminton or volleyball. The only equipment required is a pair, or sometimes a single, large soft suede shoe, a towel to wipe down buckets of sweat and a bottle of brown liquid. The chaps were incredibly skilled at using their heads, chest and feet to keep rallies going, sometimes for several minutes. I am not sure if people are allowed to enjoy themselves in Singapore - they certainly would not be allowed to do so on the streets.